Many people know that October is National Domestic Violence Awareness Month. But most don’t know that for women in the United States, domestic violence is more prevalent than breast cancer and diabetes combined – with annual health care costs alone totaling upward of $5.8 billion. One in four women and one in seven men will experience in their lifetime severe domestic violence, also referred to as intimate partner violence (IPV). Since 2013, the U.S. Preventive Services Task Force has recommended routine IPV screening of childbearing-age women because of the significant short- and long-term physical and mental health problems, and evidence that health care interventions can make a difference. The bad news is that IPV screening is not routinely done by most doctors, clinics, and health care systems. Why? Because many lack awareness that IPV is common and can happen to anyone regardless of education, ethnicity, and socio-economic background. Not being sure how to ask, how to respond when the answer is “yes,” or not being sure of available resources also come into play. And unfortunately at times it’s the fear that screenings will take too much time and won’t really help. The good news is that identifying and addressing IPV does not require expensive investments in new technology, diagnostic tests, procedures, or medications. It’s possible to offer a simple, brief, caring intervention that makes a difference; evidence shows that women who talk with their doctor about IPV are four times more likely to seek help. However, it requires thinking in new ways – beyond the traditional focus of simply providing training to clinicians. To address this often difficult-to-discuss problem, it’s important to make use of the entire health care environment and partner with community services for a systems-model approach. This is key. As a physician at Kaiser Permanente starting out in the Emergency Department in Richmond, California, I saw first-hand the devastating results of domestic violence, and the needs to provide physicians with the tools to be able to address this to bring lasting results for the patient. In the ensuing years, I’ve worked to develop, test, and implement an innovative “systems model” approach to this complex and challenging issue – resulting in dramatic improvement in IPV recognition and identification and a transformation of the organization’s approach to intimate partner violence. Over the past 15 years, all of our medical centers in the Kaiser Permanente Northern California region – serving more than 4 million members – have adopted the systems model approach, and this has been associated with a dramatic increase (33-fold) in IPV screening and identification. The largest improvements have occurred in primary care, suggesting that patients are being recognized earlier, potentially before more serious injuries occur. Under Kaiser Permanente’s Family Violence Prevention Program, addressing IPV is now seen as part of everyday care, just like identifying and treating hypertension, asthma, or diabetes. The change has come from both sides: our physicians are confident in knowing how to ask and to offer brief intervention and referral, and our patients are more comfortable in disclosing intimate partner violence experiences. Systems-model approach. This four-part model includes developing a supportive environment that provides patient resources, reduces stigma, and encourages disclosure; training and workflows to support clinician screening and brief intervention; referral to on-site social or behavioral health services; and strong partnership with community advocacy services. Information technology. Electronic health record tools support clinical inquiry, documentation, intervention, and referral while microsites provide point-of-care resources. Diagnostic databases (with identifying information removed) are used to provide quality improvement metrics. Performance improvement methods. Quarterly reported metrics facilitate continuous improvement, identification of high- and low-performing departments and medical centers, and help promote promising practices. Improving the IPV identification rate is included in leadership quality dashboards. Implementation and dissemination science. Physician champions lead facility-based teams using a step-wise approach to implementation. The Institute for Healthcare Improvement’s Plan-Do-Study-Act (PDSA) tools guide local improvement activities. Regional coordination identifies promising practices that are ready for spread to additional medical centers. Based on the successes in Northern California, Kaiser Permanente has implemented this innovative care approach to intimate partner violence across its eight regions. While not every region may be in the same development phase of the program, they all use a common metric to ensure performance improvement can be measured consistently. This systems-model approach can apply to other complex health conditions, and can be adapted by other health care organizations. In fact, community clinics in Bangalore, India, have successfully adapted our model to improve their response to IPV. Other organizations in the United States are using this approach as well, simply by implementing system changes and building on already available resources. In most cases, it’s not the dollars that dictate change but the vision and commitment. Domestic Violence Awareness Month reminds us that intimate partner violence is not inevitable, it is preventable. At Kaiser Permanente, we have shown a health care system can address IPV as part of everyday care, and we’ve shown how to do that. Now, physicians need to make this part of their clinical practice and take action as leaders in their organizations. 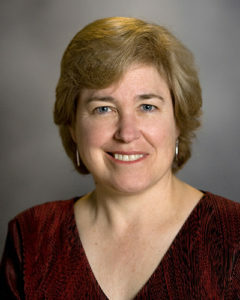 Brigid McCaw, MD, MPH, MS, is medical director of the Family Violence Prevention Program for Kaiser Permanente Northern California and is the national lead for family violence workgroup across the organization. She’s also an internist in Richmond, California, with The Permanente Medical Group.